Crater Lake National Park is know for, well, the lake. But there are some short waterfall hikes in the area that you might want to miss. They get you a different feel for the central Oregon mountains and wilderness. 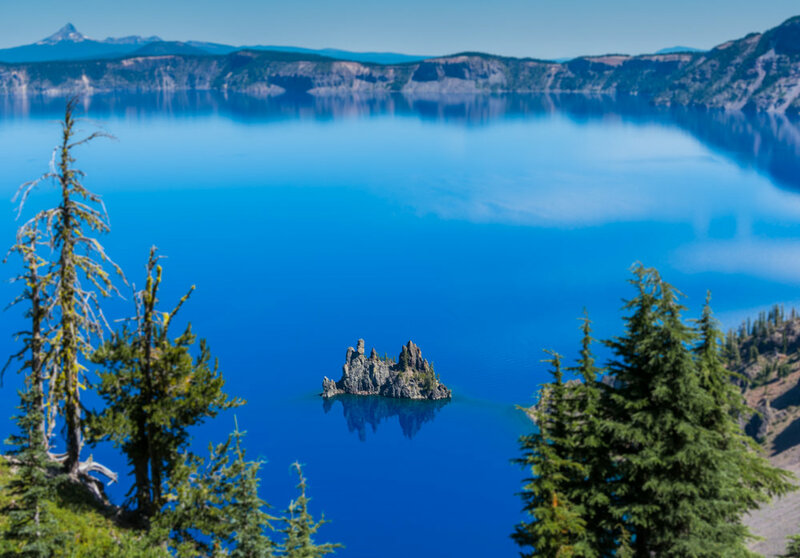 These four hikes will give you a variety of sites in Crater Lake, include two waterfalls, an alpine meadow perfect for a stroll during wildflower season, and a view of the Phantom Ship island in the lake. 1. 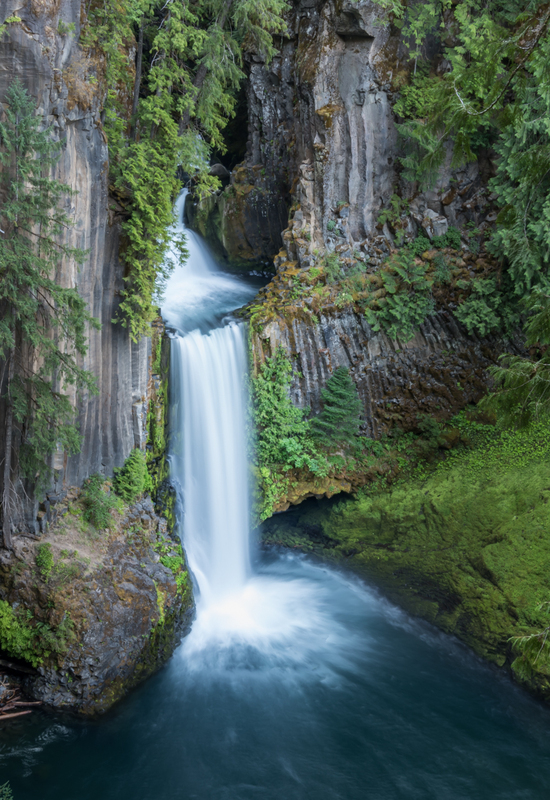 Toketee Falls. This waterfall is actually outside of the park by about an hour. We were able to take a route from Eugene to Crater Lake that passed by the falls but it’s not far off of other routes. Round trip, the hike is less than a mile. You’ll take some flat trail out to some stairs which you actually go down, utilizing wooden stairs and decking areas to protect the cliffs. Instagram is full of photos of people who have ignored the signs to stay on trail. These photographers are damaging the local area to get likes and follows. Please take care of this special place by staying on the trail. It’s beautiful from no matter where you are on the viewing platforms. 2. Plaikni Falls. This waterfall is in inside of park boundaries near the southern edge of the park. The hike out to the falls is a little over a mile, putting the round trip between 2-2.5 miles. The terrain is mostly flat without much elevation gain. The waterfall is petite but pretty. if you’re visiting in summer, you’ll catch plenty of wildflowers blooming near the falls as well as on the route there. 3. Castle Crest Wildflower trail. Alpine meadows can frequently be closed because they are so fragile. When you seem them bursting with color, it’s tempting to walk through them to get a better look at the blooms. 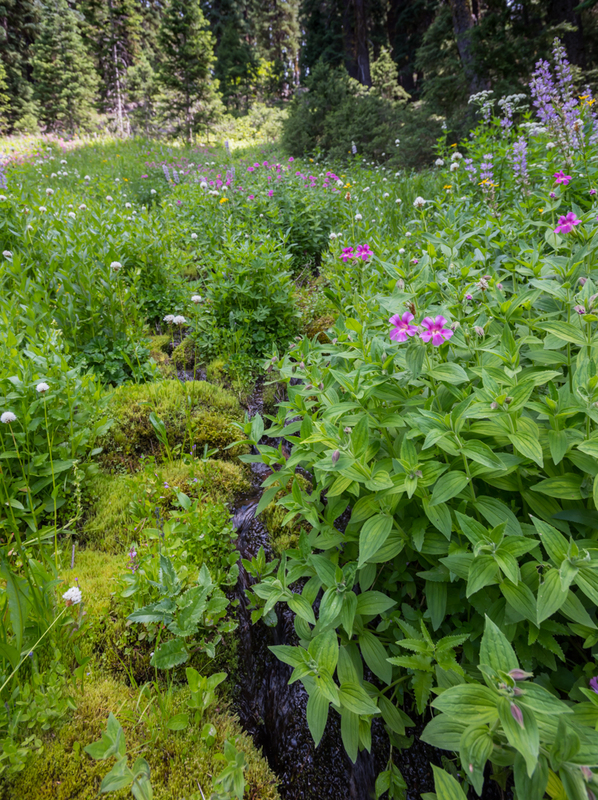 But these meadows really are fragile—stepping on the plants can ruin the root system of the flowers. So this short wildflower hike (under a half mile) is a wonderful addition to a day in Crater Lake during wildflower season (AKA summer). Signs name many of the blooms throughout to get you feeling like a real botanist. 4. Sun Notch. This viewpoint on the south side of the park takes you up and around an open hillside to a fabulous viewing point of the lake. The waters felt even bluer from this vantage point (maybe because we hiked it in mid-day) and you can get a fun view of the Phantom Ship island. There are two islands in Crater Lake. Wizard Island is quite obvious but Phantom Ship is much smaller. When you look at it in the lake, it feels like it must be a large rock. It’s actually 500 x 200 feet wide, and over 150 feet tall. Seeing it in the middle of the water adds even more magnitude to the size of the lake that surrounds it.